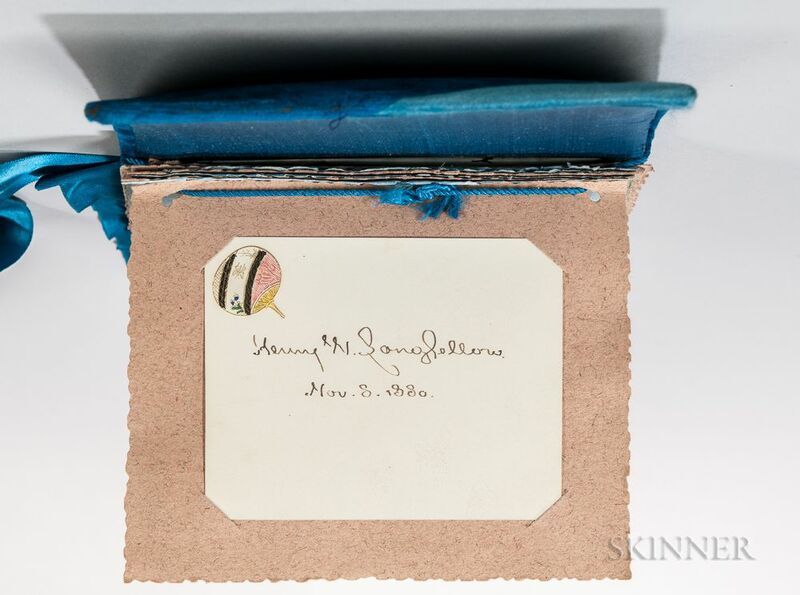 Autograph Album, Late 19th Century, with Signatures of Louisa May Alcott, Henry Wadsworth Longfellow, and Others. Autograph Album, Late 19th Century, with Signatures of Louisa May Alcott, Henry Wadsworth Longfellow, and Others. 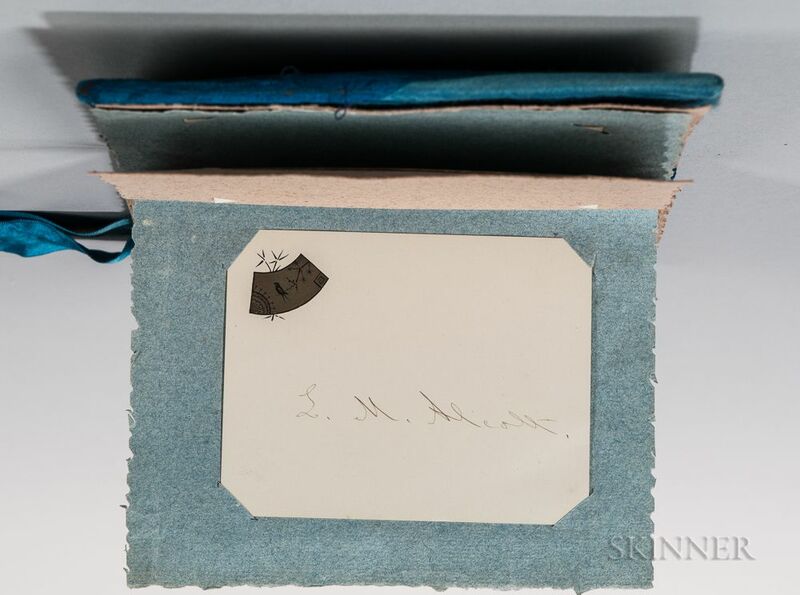 Autograph Album, Late 19th Century, with Signatures of Louisa May Alcott, Henry Wadsworth Longfellow, and Others. 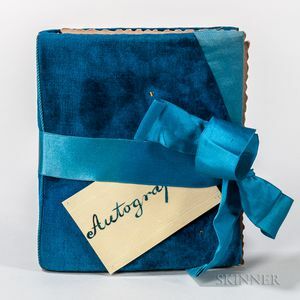 Handmade album with deep blue silk velvet covers, matching satin doublures and wide ribbon; the contents alternating blue and peach cards with signed cards mounted; signatures include: Longfellow, John Greenleaf Whittier, Oliver Wendell Holmes (with four lines from his poem, The Voiceless), Louisa May Alcott, Edward Everett Hale (with four lines), Jay Gould, Edwin Arnold, an autograph letter signed by Daniel Webster to his wife, and others.